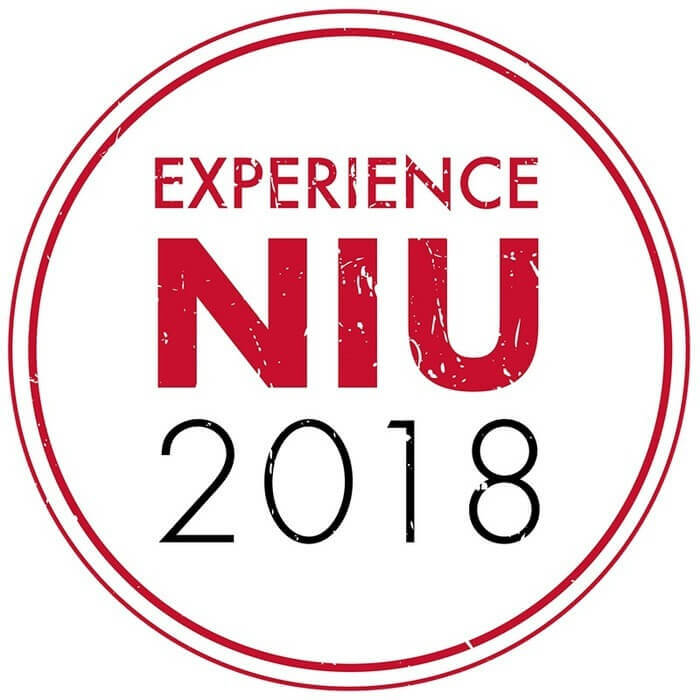 Alumni and friends are invited to Northern Illinois University for “Experience NIU,” an opportunity to reconnect with the university and fellow Huskies in a series of exciting social and cultural events on campus. The series, which runs from February through April, will provide an opportunity to experience events at the NIU Art Museum and School of Music, meet an award-winning science fiction author and the 2018 Distinguished Alumni Award winner. The events are free, but a reception will be held at each event at a cost of $10 for dues-paying members of the NIU Alumni Association or a discounted price of $30 for all four events, which include food and an open bar (beer or wine). Nonmembers pay $15 per reception or $45 for the series. Guests attending all four events will receive a gift. 4:30 p.m. Thursday, Feb. 15, Art Museum, Altgeld Hall – Faculty members of the School of Art and Design will present their biennial exhibition at 4:30 p.m. The exhibition will include large sculptures, abstract art, computer animation, sound pieces, and intimate drawings and sketches. Museum staff will be on hand to talk about the art. In conjunction with the faculty art show, John Siblik, director of the School of Art and Design, will present a slide show on public sculptures from 5:10 to 5:50 p.m. in Altgeld 125. The reception will be held from 5:50 to 7 p.m.
2 p.m. Sunday, March 4, Music Choral Concert, Boutell Memorial Concert Hall, Music Building – The concert will feature the Chamber Choir performing the “Foundling Hospital Anthem” by George Frideric Handel, along with his famous “Hallelujah” chorus. The performance will be followed by the All-University Chorus. The reception will begin at 2 p.m.; the concert at 3 p.m.
5 p.m. Thursday, March 22, library of the Barsema Alumni and Visitors Center – A lecture will be presented by the 2018 Distinguished Alumni Award recipient, who will be chosen soon. The reception will begin at 5 p.m., followed by the lecture at 6 p.m.
April (date and location TBA) – Meet the award-winning science fiction author Kate Hannigan, who will discuss her book “The Detective’s Assistant.” Set in Chicago just before the Civil War, the book is based on a real American heroine – the nation’s first female detective, Kate Warne. To RSVP to any of these events, visit myniu.com or call 815-753-ALUM.